A couple weeks back, you may remember that I made a post about working on a podcast. Now that I’ve become a regular on the show, I thought it would be a good time to share it with all of you. 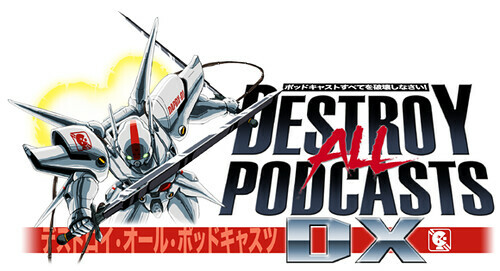 I’m co-hosting Destroy All Podcasts for CollectionDx, along with a bunch of my friends. We summarize and criticize various films of the animated or Japanese variety.